I’m a trend jumper. There I’ve said it. In the past I was one of those people that bought things because they were one of the in things at the time. I never really put much thought into how pieces would work with my existing wardrobe or if I would get wear out of items. Which left me with a lot of unloved items in my wardrobe. As I’ve got older its become more important for me to choose my items carefully. Is it something I’ll get real wear out of? Will it last? Is it really my style? There are some trends that I would love to buy into but unfortunately they are just not for me. So instead of buying into them, I am moving on and finding pieces that I love. And most importantly, things I feel good in. Lately I’ve added a few things to my wardrobe that I’m calling a capsule collection. 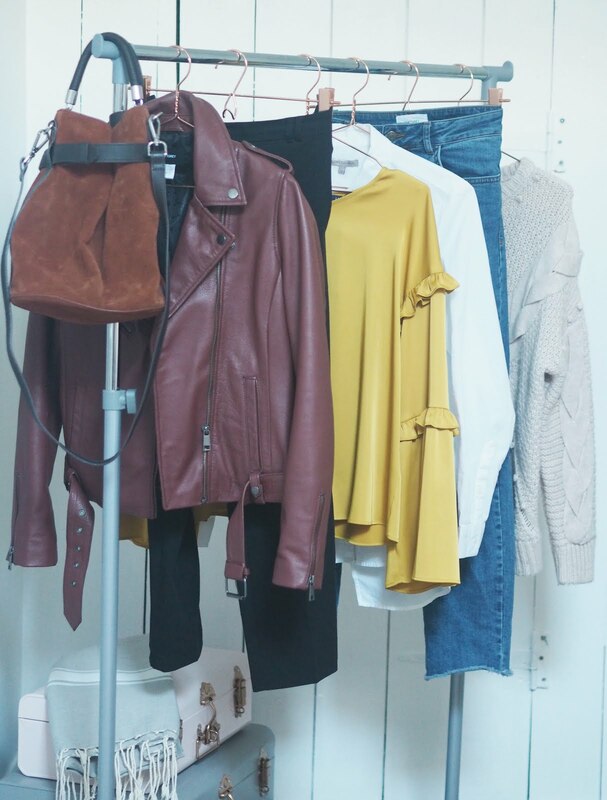 These consist of key pieces that I can mix and match with a range of outfits and a few little trend pieces thrown in to bring outfits up to date. 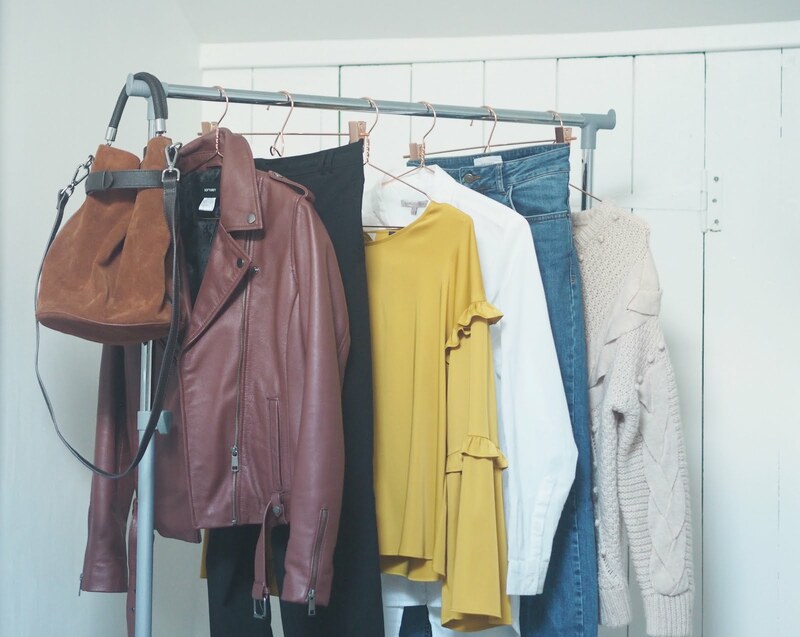 What do you have in your capsule wardrobe? "Winter Skincare With Victoria Quarter Leeds"
"The House of Peroni Italian Pop-Up Cinema"
I love those white trainers, bag and leather jacket! Same here! I've been trying to sirt my wardrobe out for quite a while. I've actually managed to remove all items I'm not going to wear ever again and that's where it ended. I now have to sell it all but that's just such a tedious job! Haha!I need an inspiration! That leather jacket is fab by the way! I used to be exactly the same, I used to buy lots and lots of 'throwaway fashion' instead of investing in a couple of key pieces. 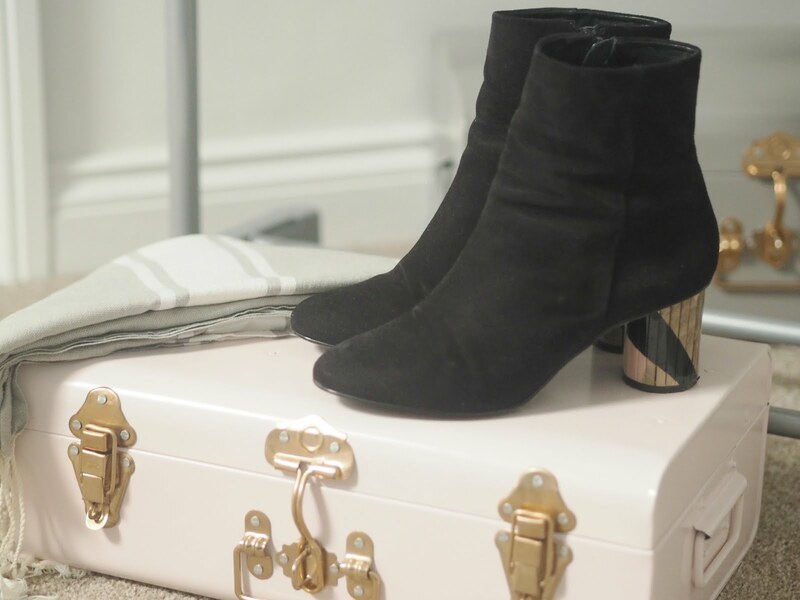 I bought a leather skirt from Reiss last year and it will be perfect for this Autumn/Winter again, a really good pair of boots never go wrong either. I think it is a learn by wearing exercise! Oh god I'm with you on the selling pains :(! you can't beat some good plain good quality t-shirts – have you tried uniqlo? I think this is the way to go – from now on I'm sticking to buying a couple of investment pieces a month. Could you please come along and sort my wardrobe out for me? Hehe!